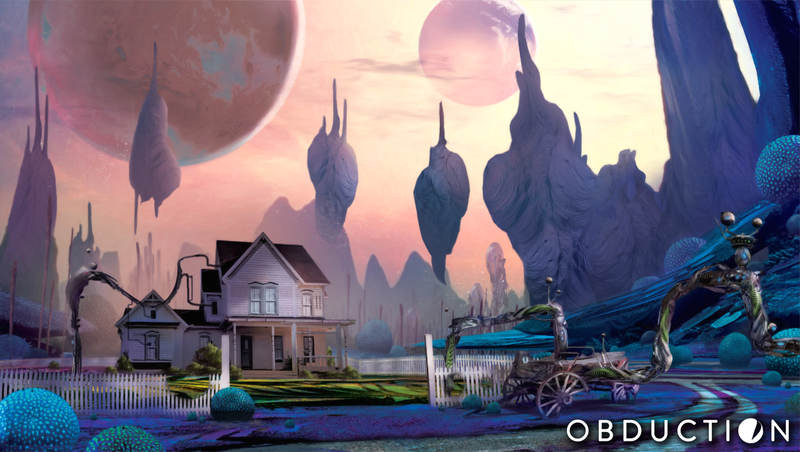 Cyan Inc., the studio behind Myst and Riven, is seeking Kickstarter support for a new adventure entitled Obduction. It's been 20 years since Myst became one of the biggest videogames of all time and while Cyan, Inc. has never duplicated its success, the studio is still around and still doing its thing - that "thing" now being Obduction, a "spiritual successor" that aims to capture the experience of Myst without being bound to its fiction. Thematically, however, it will tread similar ground, as players find themselves abducted by a strange, organic artifact and then dropped into bizarre and fantastic alien worlds. 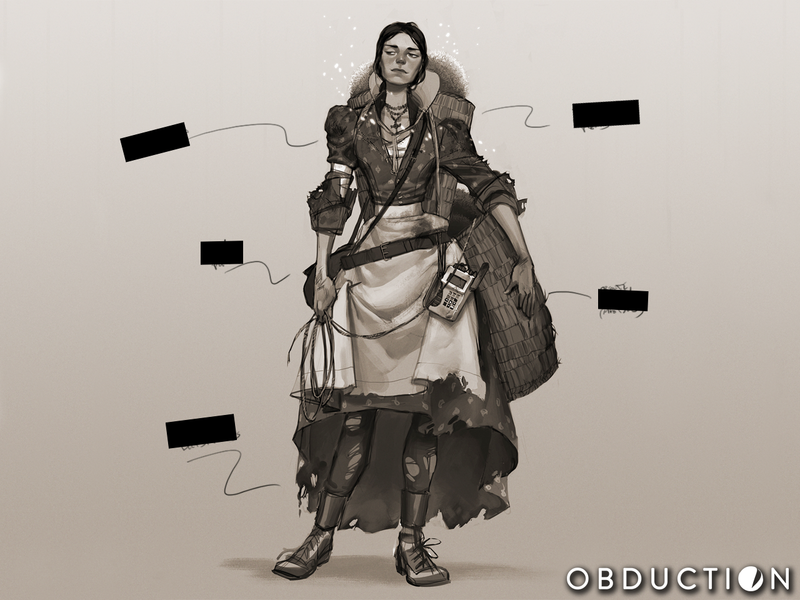 Obduction promises "stunning landscapes, deep storyline, engaging characters, dramatic soundscapes, and challenging yet intuitive puzzles," as you'd expect, and while the few pieces of concept art currently available have a very obvious Myst-like appearance and the genre has some serious miles on it, a new game in the mold from the studio that started it all is kind of exciting. Cyan is seeking $1.1 million in funding, a hefty amount by any measure, but so far it seems to be going pretty well. Obduction hasn't exactly set Kickstarter on fire but it has managed to tick up past $50,000 on its first day and, for the moment at least, is climbing with a comfortable consistency. There's a tendency to be dismissive of Myst as a game and for the genre it launched, but in 1993 it was nothing short of revolutionary - and as the Kickstarter points out, it seems these days like everything old is new again. As always, buyer beware, and if you do pledge, please do so with full awareness of the risks (which is to say, don't pledge it if you can't afford to throw it away) or at the very least, the understanding that I'm not telling you to go out and blow your bucks on this thing. 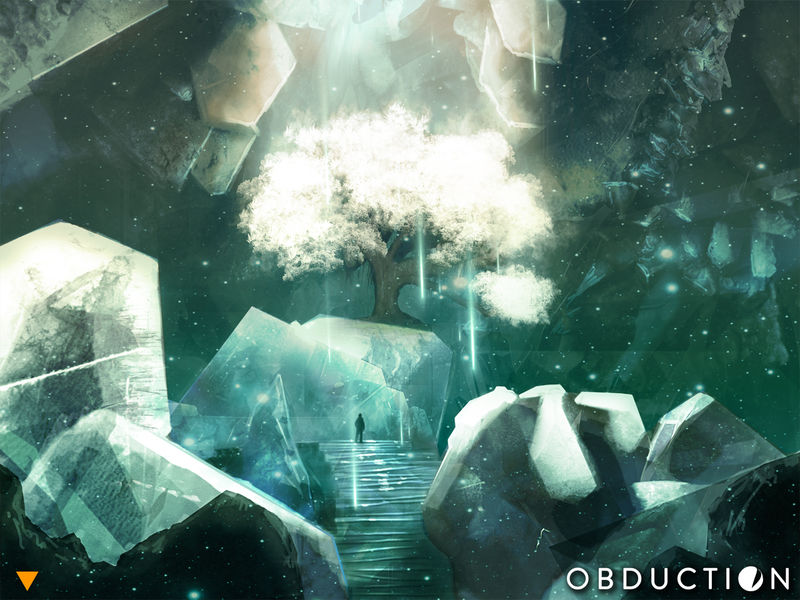 The Obduction Kickstarter is live now and runs until November 16. And now if you'll excuse me, I think I need to go throw some money away.